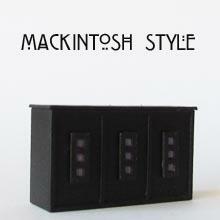 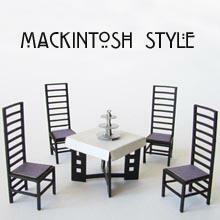 Kit to make 1/48th scale table and four chairs in the style of Rennie Mackintosh. 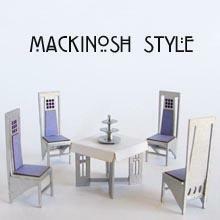 This is a card kit by Jane Harrop and includes detailed instructions. 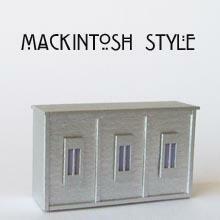 You will need tacky glue, a black maker pen, a silver marker pen and black spray paint to complete.